Mr Titus Adams is a Consultant Plastic Surgeon at The Manor Hospital, Oxford. He has been a Consultant at the Oxford University Hospitals NHS Trust since 2009. He is a full member of the British Association of Plastic, Reconstructive and Aesthetic Surgeons (BAPRAS) and the British Association of Aesthetic Plastic Surgeons (BAAPS). Mr Adams graduated from Bristol University, and moved to Oxford to teach anatomy to Oxford University medical students, and completed his junior surgical training in and around Oxford. He worked in Plastic Surgery at Norwich before completing his research into Topical Negative Pressure Therapy in wound healing, at Stoke Mandeville Hospital and UCL. He gained his MD in 2002. His Plastic Surgery training was held in Oxford, Salisbury, Stoke Mandeville and London. His fellowship included Cosmetic Surgery in London, and a microsurgery breast fellowship at the Royal Marsden Hospital, London. His cosmetic training was held at the Institute of Cosmetic Surgery at the West London Clinic, London. He was trained by a number of leaders in their field. Mr Adam's cosmetic practice includes comprehensive face and neck lifting, endoscopic brow-lifting, blepharoplasty (eyelid) surgery, abdominoplasty (tummy tuck), body contouring with liposuction and filling, and cosmetic breast surgery (augmentation, lifting and reduction). He also provides injections for wrinkles and dermal fillers. 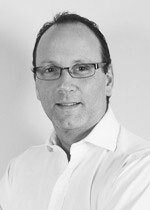 Mr Adam's other specialist interests include the surgical management of skin cancers, breast reconstruction, with particular emphasis on perforator free flaps (DIEP flap) in the microsurgical reconstruction of the breast. His current research interest involves the use of Sentinel Lymph Node Biopsy in Melanoma. Mr Titus Adams does not hold a share or financial interest in this hospital, another Nuffield Health hospital or the company. Mr Titus Adams does not have a share or financial interest in equipment used at this hospital or another Nuffield Health hospital. Mr Titus Adams does not hold any paid advisory role(s) at this hospital or on behalf of Nuffield Health.